ca. 510 - 500 B.C. A Nereid Thetis holds a pair of small dolphins in her hands with another two diving by her side. 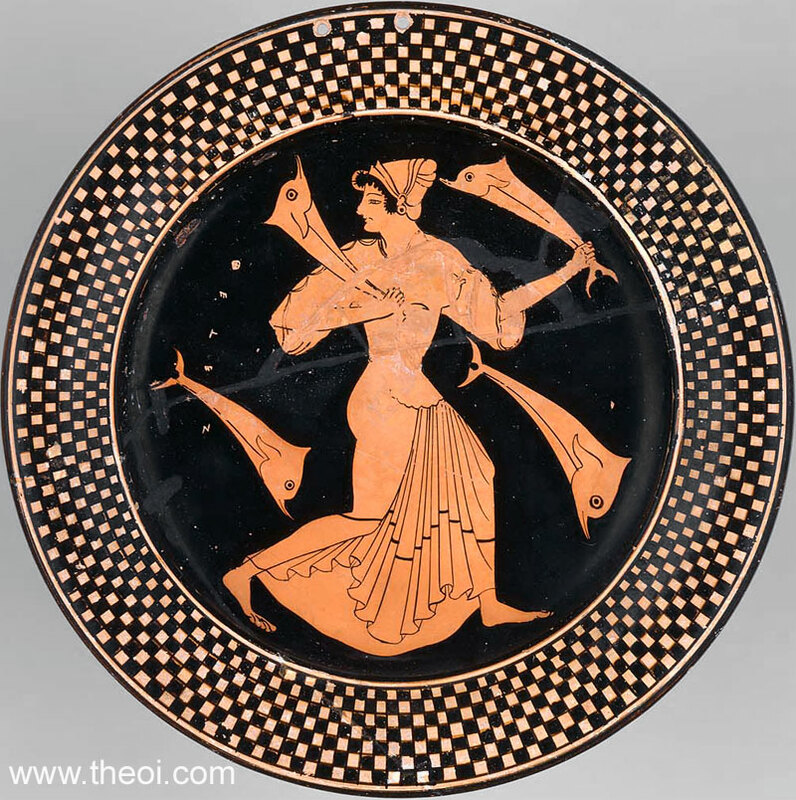 The figure is labelled "Thetes" on the vase.